We’ve come to depend on our smartphones so much that losing one can be a real problem, whether it’s gone missing in a restaurant or been grabbed on the subway. If you want to make sure your phone and its contents are protected, here’s what you need to do next. Most of these pointers rely on the two comprehensive services from Google and Apple designed to keep track of a lost phone—we’re going to assume it’s just gone missing and may or may not have already been picked up by someone else. If you know for sure it’s been stolen, then your local law enforcement should be your first port of call. 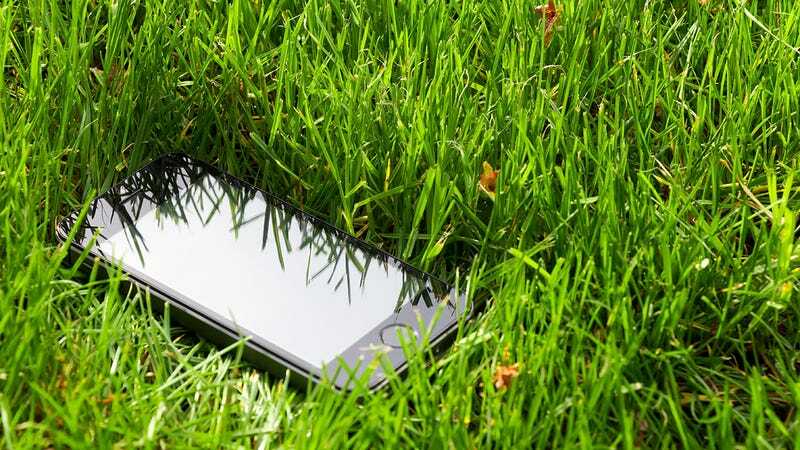 If you haven’t yet lost your phone, good news—there are steps you can take to minimize the damage if it does go missing. The most important one is enabling Android Device Manager or Find My iPhone depending on the particular brand of your mobile. These tools are so useful that you’re strongly encouraged to enable them these days when you set up a new device: Unless you’ve switched them off for some reason, you should be good to go. Check in the Google Settings app on Android or under the iCloud heading in Settings on iOS. Many Android phone manufacturers have their own apps in place too. You should also make sure you have a PIN code or fingerprint lock or some kind of security set up on your smartphone’s lock screen. They’re not unbreakable but these barriers are your phone’s first line of defense against someone who might pick up your device and not want to give it back—and without them your email and social networking apps are wide open. If someone more altruistic comes across your smartphone, you want to be able to make sure he or she can get it back to you. Adding some ‘emergency contact’ details to your phone’s lock screen isn’t difficult: Go to Owner info in Security in the Android Settings app on a Google-powered phone. On iOS, you can add your contact details to the lock screen wallpaper or enter emergency contact information through the Medical ID page in the Health app (this can then be accessed by tapping Emergency on the lock screen). Whoever picks up your phone might be clever enough to ask Siri “who does this phone belong to?”—to make sure the right answer is given, enable Siri on the lock screen (under Touch ID & Passcode in Settings) and edit the My Info field in Mail, Contacts, Calendars. You can access Android Device Manager or Find My iPhone from the web or from another device very easily—these apps have come a long way in the last couple of OS versions and are now very straightforward to use. Both apps let you lock or erase your device remotely, disabling access to your apps and any mobile payment methods you’ve set up. Whether you actually want to go and try and find your phone is up to you. If it looks like it’s been dropped in a bar then it’s worth a try; if someone else has picked it up and it’s moving across the map then we wouldn’t recommend attempting a confrontation. Whatever the scenario, be careful and err on the side of caution. If you don’t have these services enabled for your missing handset then your task becomes a lot more difficult. A PIN number, pattern code or fingerprint lock should be enough to keep your data safe but locating the handset could be tricky—if you’ve set up location history in Google Maps you could try checking your timeline but it’s not a perfect solution. One of your first calls (on a spare phone or landline) should be to your carrier: They’ll be able to block the device and make sure no one’s making international calls with your money (check the specific instructions on your network’s support site). As we’ve already mentioned, if the phone has been stolen then you should file a police report, too. If you don’t have a device tracker app set up and your phone isn’t protected with any kind of lock screen defense, you need to make sure your various accounts and services are safe as soon as possible. In fact, it’s a good idea to do this even if you have remotely locked or erased your device. Most of the big apps out there—Facebook, Gmail, Twitter, etc—let you view current sessions and log out of devices remotely from the web. For example, if you head into your Google Account settings, you can see all the devices that currently have access to your data and remove any of them with a click. On Facebook, open the Settings page from the menu, click Security and then Edit next to Where You’re Logged In—you can terminate any of these sessions immediately. These actions don’t boot a stranger off your phone but they do mean he or she is going to have to enter your password again to regain access to the likes of Gmail, Facebook and so on. If you can access the accounts you use in your phone apps from the web (or from another device), you should find most of them include a lock out feature like this. For those that don’t, you can still change the relevant passwords by accessing your accounts from a computer or another mobile device, which should be almost as effective. If you’ve set up two-step verification on these accounts (which in general is a good idea) you might need to use a backup authentication method if the primary one is SMS—this backup is typically a code generated when you set up two-step access in the first place (hopefully you kept it safe). It’s impossible for us to provide instructions for every app and account out there, but you know which apps you rely on: Look up the relevant details online and make sure you secure them as soon as you can. If you’ve already been kicked out of an account, there are usually recovery steps you can take—Facebook has a very comprehensive process, for example. Alternatively, you could just try calling your lost handset—chances are the person who picks up might keep it in a safe place for you.